When you’ve never had a credit card, deciding which one to get can be overwhelming. Before you start submitting applications, take some time to learn about how credit works, what your options are and how you should actually go about getting a credit card. We’ll go over those basics here. What’s the Best First Credit Card? There is no single “best” credit card for first-timers, because every applicant has a different financial background. 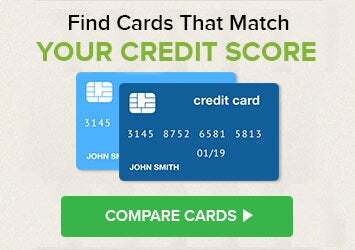 To figure out what sort of credit cards you should look at, you’ll want to check your credit. If you have good credit, you’ll have more credit card options than someone who has no credit or bad credit — though there are still credit cards for people with bad credit. You can see two of your credit scores for free on Credit.com. With that information in hand, you can make a smart decision about what credit card to apply for. In most cases, you need three things to get a credit card: a Social Security number (or taxpayer identification number), the ability to pay the credit card bill and, at the very least, a fair credit score. (We’ll explain how you can get a credit card with bad or no credit later.) Your bank or credit union is a great place to start your search: Your bank already knows you, so if you’ve been a good bank customer, there’s a good chance the bank will be happy to take you on as a credit card customer as well. Perhaps credit card companies have already found you — you can use the offers companies send you in the mail to compare deals. They’ll prominently feature the attractive stuff — the introductory rate, the rewards, whatever they can think of to entice you to choose their card. On the back of the offer, you’ll find the important details such as fees, interest rates and finance charges. For more credit card offers, you can look online. We have expert guides to comparing credit cards for every kind of credit, and you can also search for cards based on their features, like credit cards with rewards or cards with no annual fee. Be sure to click through to the card’s important terms and conditions before applying. All those details matter. If you don’t have good enough credit to get a card on your own, you may still be able to get a card if someone cosigns your credit card application, meaning they’re responsible for the payments should you fail to make them. (If you’re younger than 21, you’ll need a cosigner, unless you can prove you have an independent source of income.) When you ask someone to cosign a credit account, you’re asking them to put their finances and credit at risk, so make sure you and your potential cosigner carefully consider the consequences and how you’ll manage the arrangement before you commit. If you don’t want a cosigner (or don’t have the option) but have bad credit or no credit, you may want to consider applying for a secured credit card. With a secured credit card, you pay a deposit to secure your line of credit — that way, if you don’t make your payments, the credit card company can take your deposit and protect against losses. It’s risky to extend credit to someone with no credit history, because the lender has no indication of how the consumer will handle it, so that security deposit takes away that risk. Your security deposit generally sets your credit limit: With a $500 deposit, you’ll have a $500 credit limit (though, in some cases, you may be able to get a credit limit higher than your deposit). Because you need to give the credit card company a deposit, most issuers require you to have a bank account in order to get a secured credit card. To establish good credit using a secured credit card, you’ll want to make all your payments on time and use as little of your available credit as possible — ideally less than 30% of your credit limit or, even better, less than 10%. That means keeping your credit card balance at less than $150 (or less than $50) if your credit limit is $500 and paying the bill on time whenever it’s due. After about a year of on-time payments with a secured card, you may be ready to apply and be approved for an unsecured card. (Again, check your credit before applying for anything.) Once you land an unsecured credit card, you can close your secured card account and get your deposit back. Some secured credit cards let you “graduate” to an unsecured credit card after a certain period of on-time payments, allowing you to get your security deposit back without closing a credit card, so that’s something to look for when shopping for your first credit card. Following the Credit Card Accountability Responsibility and Disclosure Act of 2009 (CARD Act), consumers younger than 21 must have an independent source of income to qualify for a credit card on their own. The CARD Act also limits credit card issuers’ ability to market credit cards on college campuses and prohibits credit card issuers from sending people younger than 21 pre-approved credit card offers without their consent. Still, there are credit cards for students — you just may need a cosigner to get one. Some cards accept applicants with little or no credit history, and they’re often offered by local banks. If you have average credit, you may be able to get a student credit card that offers some rewards. A credit card is an incredibly convenient and useful way of paying for goods and services from merchants all over the world. With a credit card, you can reserve a hotel room, rental car or plane ticket or shop online with ease, and credit cards have better fraud protections than debit cards. You can choose to use a credit card that rewards certain types of spending, making it a valuable financial tool, but one of the most important things a credit card does is help people build credit without going into debt. You may also find a credit card helpful in case of an emergency. Your credit standing affects so many areas of your life, not only your ability to get loans but also renting an apartment or getting a job. With good credit, you have a good chance of getting lower interest rates when you apply for a car or home loan or even another credit card. Many insurance companies also consider consumers’ credit in determining their premiums. A potential employer may check a version of your credit report to see if you are responsible about handling your financial obligations. Landlords and rental agencies often pull a copy of your credit report as a part of the review process. Electricity and cable and other utility companies may check your credit report when determining your rates. Even a cell phone company may check your credit before granting you a service contract. A great way to build up a good credit record from scratch is by being a good credit card customer. Use your card and pay your bill on time each and every month, and over time you’ll establish a sound payment history. Once you have tracked down a few credit card offers, you’ll want to study the terms carefully. Does the card come with an annual fee? What is the annual percentage rate (APR)? Is there an introductory rate? How long does it last? What happens if you pay late? What kind of late fee will you pay? Will your interest rate shoot way up if you miss a payment? The answers to these questions are all in the fine print of the card offer. Once you’ve looked over the offers that match your credit standing, pick a favorite and apply. Lucy Lazarony contributed to this article. Yes it should if it is paid on time. The tricky part is making sure the reported balance is low in comparison to the credit limit. If you have a small credit line, that may mean making one small purchase a month and paying it off in full right away. I would agree with Gerri. The more on-time payments you make, the more credit you will have at the end.